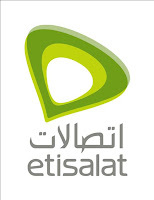 THE Iran government has awarded its third mobile license to a consortium led by Emirates Telecommunications Corp (Etisalat), the biggest phone company in United Arab Emirates, and Tamin Telecom, the telecommunications investment arm of Iran’s social security and pensions department. Based on report by Bloomberg, the company has submitted a 15-year plan and has gain "exclusive rights" to offer 2G and 3G services for 2 years. It paid US$398 million for the license and plan to be up and running within months. The country currently has more than 44.4 million subscribers, representing a penetration rate of over 61 per cent. I think, based on the report, the license will cost the consortium US$398 million during the first two years, and on the third year onwards, the license or spectrum fee will be settled via a revenue sharing scheme. TMI via a consortium had also bid for the license.